BRASILIA (Reuters) - Facebook Inc's popular messaging service WhatsApp has become a political battleground in Brazil's most polarized election in decades, raising concerns that it is distorting debate beyond the public eye. The election's first-round vote on Oct. 7 underscored the major role that social media now plays in Brazilian politics. WhatsApp has tried to discourage the tsunami of falsehoods by limiting how many recipients a message can be forwarded to. The company also has run public advertising on how to spot fake news and blocked hundreds of thousands of accounts during the campaign, with technology spotting automated "bot" behavior. Haddad accuses Bolsonaro of not just benefiting from misinformation on WhatsApp but encouraging supporters to fund bulk messaging over the platform. That would amount to soliciting illegal campaign contributions in what they call an "abuse of economic power" undermining the election. WhatsApp said it takes the allegations seriously and is "taking immediate legal action to stop companies from sending bulk messages," including cease-and-desist letters to the companies in question. 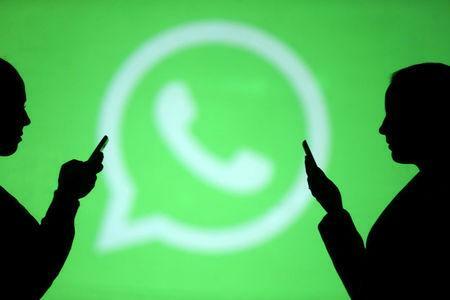 Brazil's chief electoral court on Friday opened an investigation into the allegations, which pundits quickly labeled "WhatsAppgate." Haddad's allies argue that the scandal should invalidate the election. However, the investigation is unlikely to derail Bolsonaro's campaign with just a week to go before the vote and an 18 percentage point lead over Haddad in recent opinion polls.